As a boutique design brand, Mim Design required chic, modern and stylish finishes. 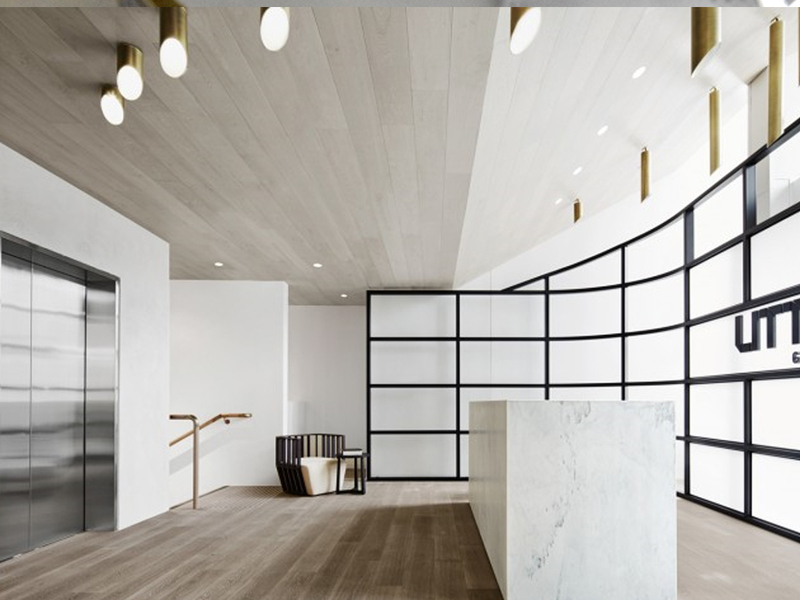 Mim Design pride themselves on their ability to combine heightened sophistication with simple and unique detail in every interior space they design. As a consequence, it was imperative that we reflected that in our finishes. 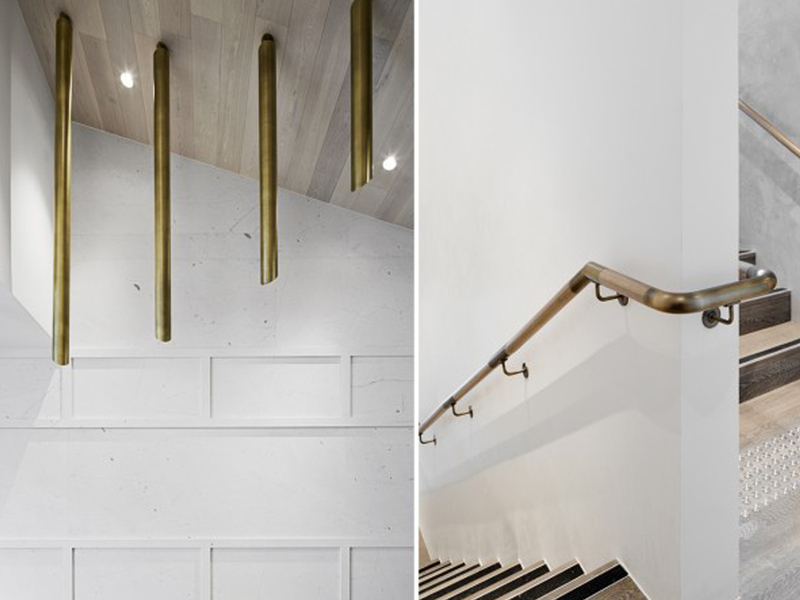 The finishes included limestone floors, white polished plasterboard walls, Victorian ash, grey fabrics oiled & whitewashed European oak floors, dark grey timber walls and the “hero finish” is Astor’s antique brass + clear satin finish to architectural hardware, stair handrail brackets and custom designed tubular lights which are arranged in graduations of length. The lights were made from aluminium tube and the stair brackets from stainless steel. Jardan’s Horizon ottoman base was also finished to match, highlighting Mim Design’s attention to detail. To aluminium custom designed tube lights, stainless steel ottoman base from Jardan and mild steel custom fabricated handrail sleeves, brackets and connectors.